I wish they weren't such a magnet for dog hair, but otherwise nice pants that fit well. WOW I was truly impressed. 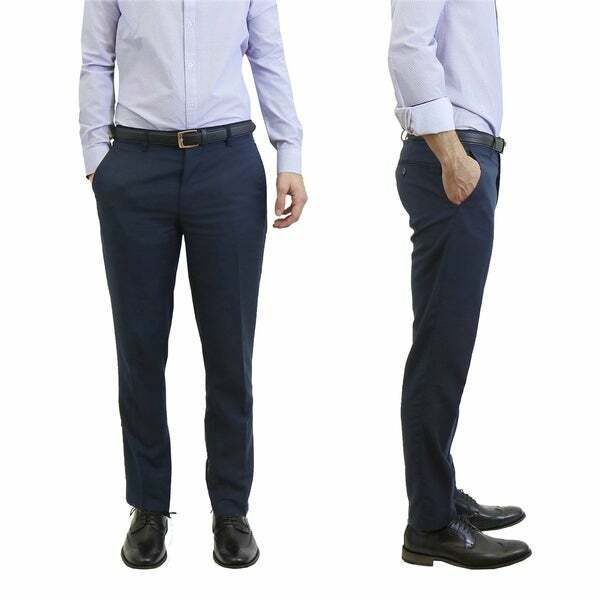 I had ordered these for my husband as he need some new black dress pants. The price was amazing. The fabric was nice and the fit great. They even came with a belt. They were a winner. A person can't even get pants that cheap a thrift store. Hands UP for overstock.com.